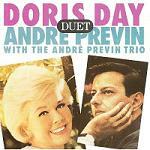 Born in Berlin in 1929 with the name Andreas Ludwig Priwin, Andre Previn's Jewish family emigrated to America in 1939 where the musician became an American citizen and proceeded to have many different careers. His initial prominence on the musical scene was firstly as a pianist playing both jazz and classical, and he was on first-name terms with many film stars, composers and conductors. Previn himself also gained significant respect as a conductor interpreting many classics and was principal conductor of the London Symphony Orchestra for a number of years. An example of his classical interpretations as a conductor is this recording of Shostakovich Symphonies 4 & 5, and he has also recorded the film music of Erich Wolfgang Korngold. As yet a third string on his bow, Previn also contributed to stage and film music in the capacity of composer, conductor, music supervisor or music director. As musical director he oversaw the production of a number of leading musicals including Gigi, Porgy and Bess, Kismet, My Fair Lady and Thoroughly Modern Millie. 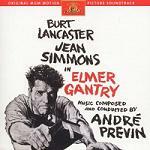 In the composer role, he scored several films including "Elmer Gantry" and "Kiss me Kate". 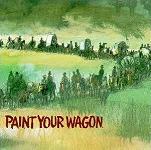 For the film version of "Paint Your Wagon" he contributed a number of songs (e.g. Gold Fever, A Million Miles away behind the Door, The Gospel of No Name City, Best Things, The First Thing you Know) to the well-known ones by Frederick Loewe (I'm on my Way, I Still See Eliza, Wand'rin' Star, I Talk to the Trees, They Call the Wind Maria, There's a Coach Comin' In, Hand me Down that Can o' Beans) retained from the stage version of the musical. The lyrics for all the songs (Loewe's and Previn's) came from the pen of Loewe's long-time writing partner Alan Jay Lerner. On the whole his style from those decades tends to be fairly light and lyrical, and clearly influenced by his background in both the classical and jazz worlds. More recently Previn worked hard at Tanglewood, famous for its Summer School and Festiva, though without a doubt his greatest claim to fame is appearing as "Andy Preview" on the Morecambe and Wise show where he learned the proper way to play the Grieg Piano Concerto before ending up as a bus conductor. Here is the youtube video of that classic event, and some reminiscences of the maestro's appearances on that show. 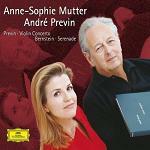 In later years Previn married and then divorced the virtuoso violinist Anne-Sophie Mutter (his fifth wife) and has written a violin concerto for her called "Sophie" and other works inspired by her influence. Now 80 years old and walking with a cane, Previn is still an active composer and conducts the occasional concert. His operas have included adaptations of "A Streetcar Names Desire" and most recently "Brief Encounter", and he has written concertos for for well-known soloists and song cycles for well-known opera singers. A TV Documentary shown on BBC4 in 2011 called "The Kindness of Strangers" looked at his career as a composer and musician, and followed Previn for 12 months in preparation for the world premiere of "A Streetcar Named Desire" in San Francisco with the San Francisco Opera during their 1998-99 season. Here is an excerpt from a fascinating televised discussion between Andre Previn, Miklos Rozsa and John Williams. 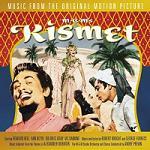 In the YouTube video they discuss film music, and composers such as Max Steiner and Bernard Herrmann. 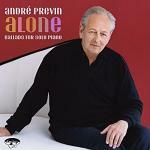 We regret to report the death of André Previn at the age of 89. 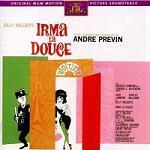 The Subterraneans - there's a lot of jazz in the score and Previn appears on screen with "The Andre Previn Trio"